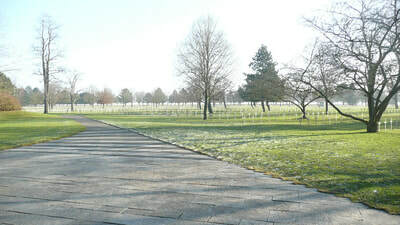 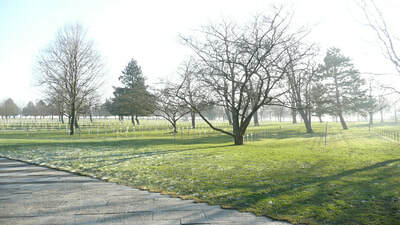 The Neuville-St Vaast German Military Cemetery is a World War I cemetery located near Neuville-Saint-Vaast, a small village, near Arras, Pas-de-Calais, in Northern France. 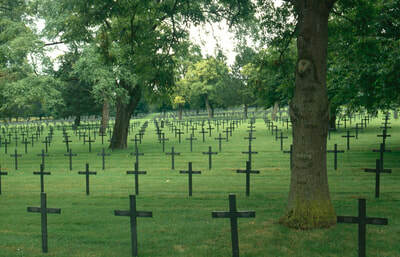 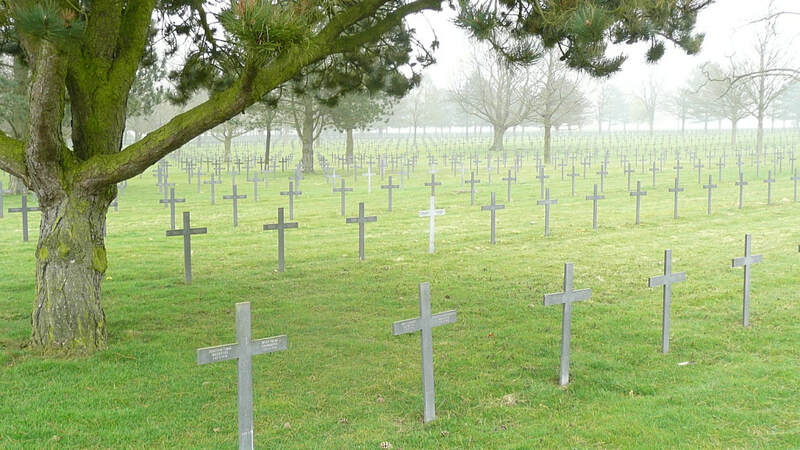 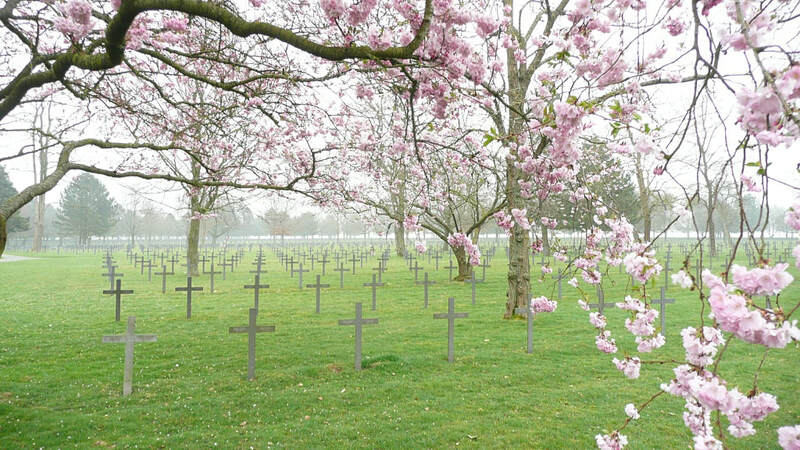 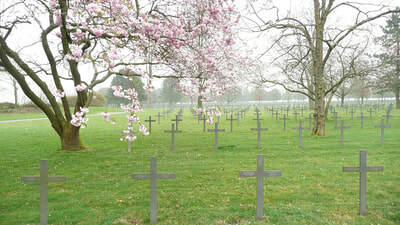 It is the largest German cemetery in France, containing 44,833 burials, of which 8,040 were never identified. 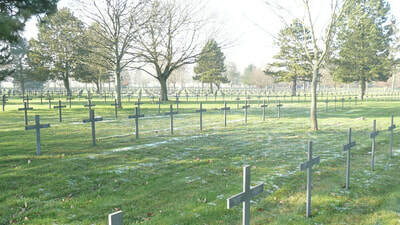 The cemetery was established by the French Government in 1919 as a collective facility for German Empire war dead whose battlefield graves and graveyards lay scattered directly to the north, east and south of the Arras region. 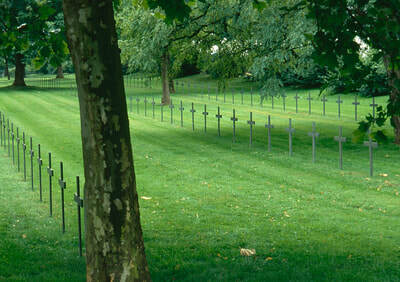 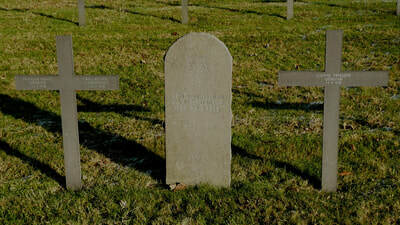 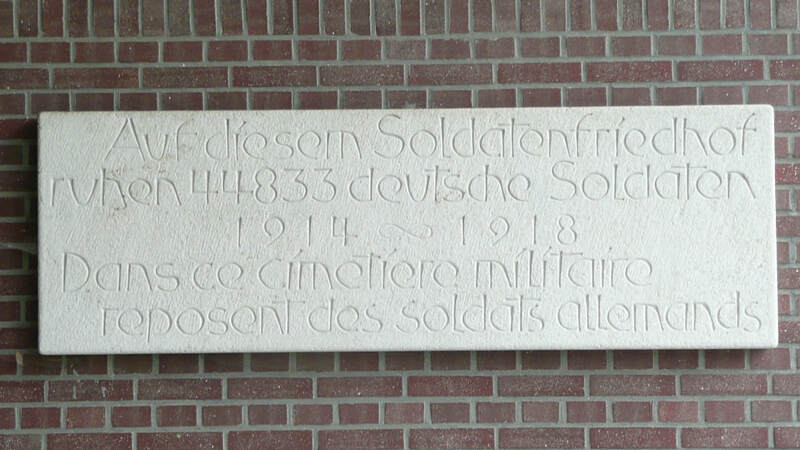 It is now administered by the German War Graves Commission - Volksbund Deutsche Kriegsgräberfürsorge (V.D.K.). 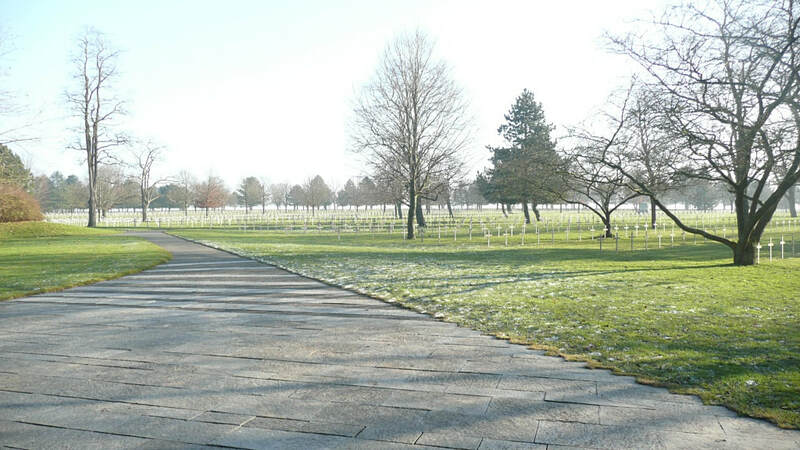 Unlike the war cemeteries for Allied casualties, which generally lie with an open aspect, highly visible in the landscape about them, with imposing edifice memorials to mark their sites, the German cemetery near Neuville-St. Vaast is discreetly designed and more understated. 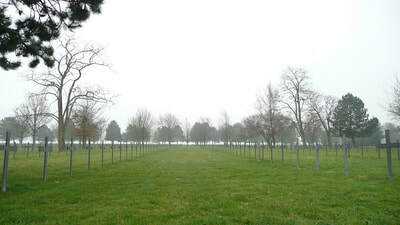 Located amidst the farming fields of the rolling Artois landscape, it is screened from the outside by an earth embankment planted with tall hedges, which mostly obscures it from its surroundings. 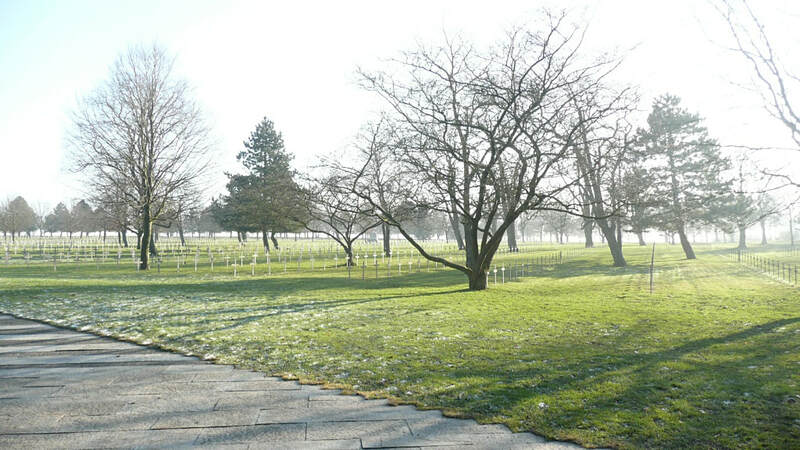 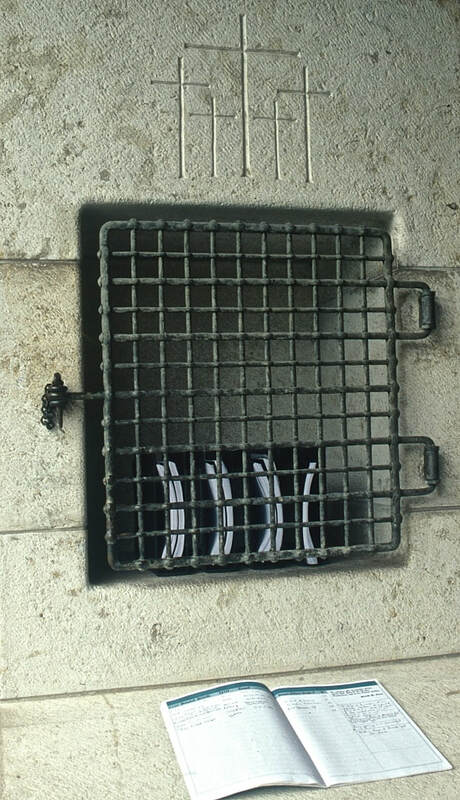 There is no central building, but a small chapel at the gateway which holds directories that list alphabetically the names of the soldiers' bodies that are interred within the cemetery, identifying the plot and section for each grave and providing a map showing their location. Between 1975 and 1983 the VDK completely reorganized the cemetery, replacing deteriorating wooden crosses that previously marked the graves with new ones made of metal with engraved specifics: Name, Rank and Date of Death. Each cross lists four individual names, since it is the location marker for four graves in the plot it stands over. 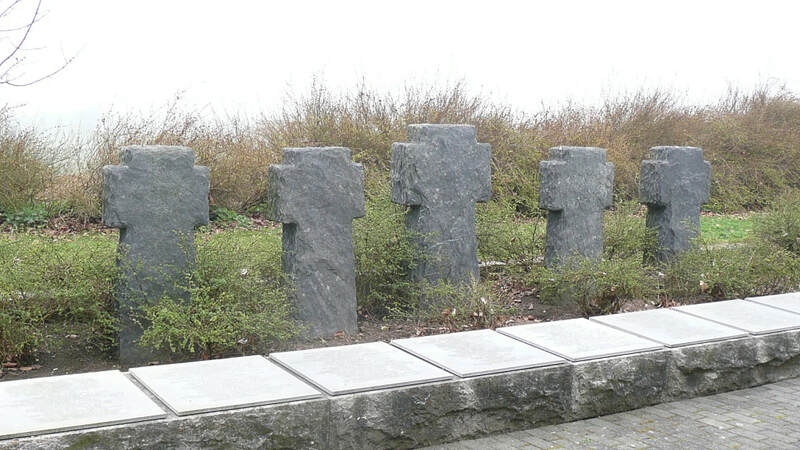 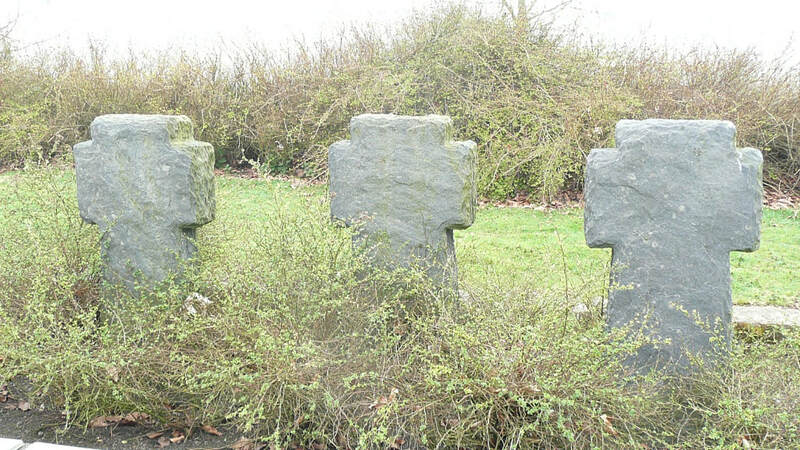 Within the cemetery there are 129 stone grave markers, of a different design from the uniform metal grey cross, displaying the Star o David for the graves of Jewish-German soldiers who fell in action fighting for Imperial Germany. 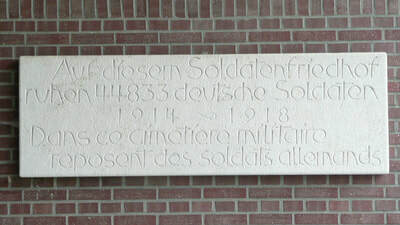 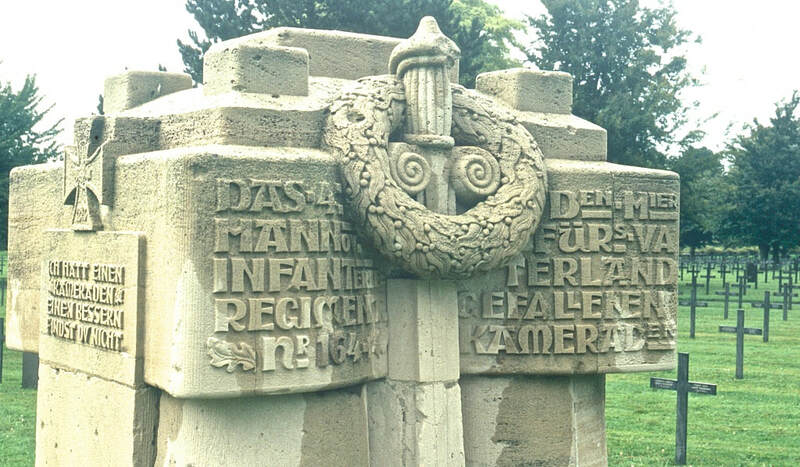 A World War I battlefield stone war memorial, fashioned originally by the men of Hanoverian Infantry Regiment Nr.164, was relocated into the cemetery's grounds post-war. 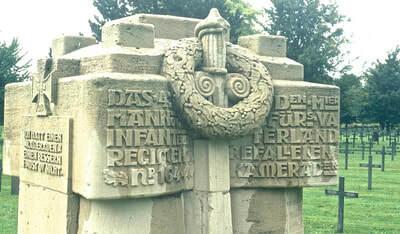 Several small dug-out fortifications still exist within the cemetery's perimeter, relics from the fighting that raged across the area in World War I.